A SOURCE FOR OUTDOOR ADVENTURE & OUTDOOR PHOTOGRAPHY: Forum, Blog, Newsletter, Expeditions, Kayaking, Hiking, Snowshoeing, Camping, Birding, Gear, Digital Editing, Photography Techniques, Wildlife Photography, Photography Gallery, Nature Photography, Photography Contest And Much More. Which Is Better - RAW vs. JPG? For years, I have used the northern Arizona town of Page as a base to refuel and overnight on long mapping missions. In summer, this is a town where throngs of tourists converge. Many come to be out on Lake Powell, a lake with more shoreline than California. Some called the coming of this lake a sort of apocalypse. Others are on a pilgrimage to the much-photographed Antelope canyon. You can raft the Colorado River if you please. There is no substitution for hiking when it comes to getting yourself in the best condition you can so that you will enjoy your hiking experience. Even if you exercise on a regular basis, hiking is completely different from many of the exercises that you currently do. If you don't exercise on a regular basis, then you have to start very slowly... but you can be ready in a short period of time. Whether you are backpacking or kayak camping, you seem to start thinking about food almost continuously. It's probably because you are burning up so many calories due to paddling or hiking that gets you day dreaming about "What's for lunch or dinner?" When you finally start cooking, it better be at least as good as what you've been thinking about all day long. A perfect paddling day can be spoiled when your kayak gear, stored in the bulkhead, turns out to be wet and soggy. Keeping your gear dry is not tough when the correct methods are used. All gear that needs to be dry should be stored in either a waterproof (not water resistant) bag or container. Text & Photographs By Jim Burnet WHICH IS BETTER - RAW VS. JPG? Sooner or later, many of us will experience that sudden feeling of panic while we're away from home. Where's the camera? (Okay, some people will ask the same question at home, but that's a different problem.) A frantic search of your vehicle, backpack or other likely locations confirms your fears. Your camera, and the possibly priceless photos it contains, is missing. RAW is a love it or hate it thing. I love it and wouldn't entertain using JPG for any shots. Regardless of what anyone argues, a perfectly exposed JPG shot is far inferior in quality to a correctly exposed and processed RAW image. Whether you shoot in RAW or JPG the absolute critical factor is exposure. If you don't get that right then it doesn't really matter what format you shoot, you aren't going to end up with a decent image. Share or sell your photographs in a gallery environment. Your photographs cannot be seen or sold on the Internet successfully without effective marketing, consumer awareness and traffic. The Gallery was created to provide you with the optimum opportunity to SHARE OR SELL your photographs. 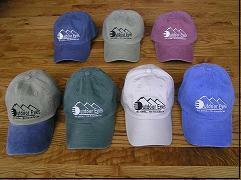 Outdoor Eyes embroidered caps are available in the following colors: Faded Blue, Berry, Stone, Khaki, Khaki/Navy, Green and Steel Blue. The caps are embroidered with the "No Limits... No Boundaries" logo. Outdoor Eyes Newsletter to a friend.